Selecting the best nursing school in Oregon can be difficult. To make the process easier first look for a school that supports students towards licensure and beyond. A great way to measure this is through NCLEX-RN "pass rates." We have ranked the top 10 nursing schools in Oregon by analyzing current and historical NCLEX-RN "pass rates", meaning the percentage of graduates who pass the exam, out of the 27 RN programs in the state. Programs reviewed include schools that offer an Associate in Nursing (ADN/ASN), BSN, or Direct-Entry MSN Degree. The beautiful West Coast state of Oregon is one of the best places in the country to become a registered nurse. According to the Oregon Center for Nursing, in 2015, 80% of newly licensed nurses surveyed in the state were working, 76% found a job within 6 months of obtaining their RN license, and 78% submitted 20 or fewer applications to find a job. Aside from these stellar stats, the Bureau of Labor Statistics reports the median annual salary for an Oregon registered nurse at $83,800, making it a gainful and lucrative career choice. An excellent first step to take if you are considering becoming a registered nurse is to look into an Associate's Degree in Nursing (ADN). This program lasts roughly 2 years, and is commonly offered at junior and technical colleges throughout the state. Once you complete an ADN program, you will be eligible to take the licensure exam to become a registered nurse. With over 15 schools in the state offering an ADN program, finding one that suits your needs is a sure bet. Proper accreditation is extremely important for any ADN program. 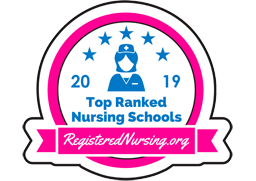 You'll want to ensure that your school has received an endorsement from national organizations such as the Accreditation Commission for Education in Nursing (ACEN) and/or the American Association of Colleges of Nursing's Commission on Collegiate Nursing Education (CCNE). It's also crucial to check that a prospective program is approved locally by the Oregon Board of Nursing. To become an RN, you must pass the National Council Licensure Examination (NCLEX) upon completion of your ADN. It's a good idea to check your school of choice's nursing curriculum to ensure that it will prepare you to pass the exam. According to the American Association of Colleges of Nursing, 87.8% of new nurse graduates in Oregon who took the NCLEX in 2015 received their licenses. Sumner College in Portland, OR, is one example of a college offering an accredited ADN program in the state. There are a few things you'll need to keep in mind when considering the cost of an ADN program. Tuition is the main expense, and can vary from school to school. You'll also need to think about additional costs such as books, uniforms, and miscellaneous mandatory fees, which may or may not be included in your school's tuition price. To give you a general idea about cost, the ADN program at Linn-Benton Community College in Albany, OR, has an estimated program expense of $11,500-$13,800. If cost, accessibility, and program length are important to you, an ADN is the perfect route to becoming a registered nurse. The short 2-year duration is desirable for many students who want to enter the working world sooner than if they'd gone through a 4-year program, and because the program is offered at many junior colleges, finding an accredited one in your area is usually quite easy. 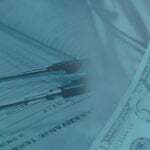 Lastly, the cost tends to be considerably less than longer nursing programs. There are specialized pathways for current Licensed Practical Nurses (LPNs) in Oregon to become registered nurses. These are known as LPN to RN transition programs, and they are popular with practical nurses for a number of reasons. The main reason is that they give credit for prior nursing coursework, making the overall program much shorter than a traditional RN program. The LPN to RN program can culminate in either an ADN or BSN, depending on the student's goals. The LPN to ADN pathway is usually around a year or less in length, and builds upon the student's LPN knowledge and experience. Chemeketa Community College in Salem offers an LPN to RN pathway for select students; actively licensed LPNs can be placed on a waitlist to enter the second year of Chemeketa's ADN program. Some students would prefer to earn a BSN. In that case, the LPN to BSN pathway is the way to go. While these take little longer than the LPN to ADN program, many students are eager to earn a baccalaureate nursing education. Walla Walla University's Portland campus offers an LPN to BSN option based on availability. Those wanting more options in their nursing careers typically gravitate toward a Bachelor's of Science in Nursing (BSN). This traditional 4-year program is usually offered at larger universities, and is more in-depth than an ADN program. Graduates with BSN degrees go on to more advanced nursing positions and typically make a higher salary. There are also RN to BSN programs for licensed nurses who want to further their careers. Over 10 schools throughout Oregon, many of them in the larger city of Portland, offer BSN programs. You'll want to carefully research each BSN program you come across and ensure that it has proper accreditation, favorable program outcomes, and is in a desirable location. Cost is also a factor, as programs can vary drastically in price. If you are already a nurse, you'll want to see which schools offer specific RN to BSN programs, which are typically shorter than traditional BSN programs. Linfield-Good Samaritan School of Nursing, which has campuses in Portland and McMinnville, is one example of a school offering a properly accredited BSN program in the state. A traditional pre-licensure BSN program takes 4 years from start to finish. Some schools, however, offer accelerated BSN programs for those that already hold a bachelor's degree in another field. These accelerated programs can take as little as 16 months to complete. RN to BSN programs are also typically shorter, at roughly 2 years. Understanding the cost components of a BSN program can make your head spin. The main expense you'll be faced with is tuition, coupled with additional mandatory costs including textbooks, lab fees, and more. In some instances, this is rolled into the cost of tuition; in others, these are all separate expenses. Do some research to compare program costs so you can be sure you're getting the full picture. To provide an example, the total program cost for the traditional BSN through OHSU will run approximately $50,000 for residents, and nearly $80,000 for non-residents. The major advantage of getting a BSN is choice. Many of the more advanced nursing jobs require this degree, and these higher-level jobs usually come with a higher pay-scale as well. It's also a versatile degree; you can earn it straight out of high school through a traditional 4-year program, you can earn it even if you've already completed a different bachelor's degree through an accelerated program, and you can earn it if you're already a licensed nurse through an RN to BSN program. A Master's of Science in Nursing degree (MSN) is a truly advanced nursing degree, for those wanting to reach the apex of a registered nursing career. An MSN can lead to jobs such as Clinical Nurse Specialist, Certified Nurse Midwife, and Nurse Practitioner, among other specialties. These advanced nursing jobs tend to pay much higher salaries as well. There are over 20 MSN program options in the state of Oregon. An MSN takes roughly 2-3 years to complete from start to finish. 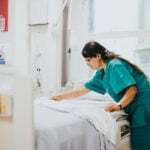 Many MSN programs are designed to work around the schedules of busy working nurses, so things like night and online courses are the norm at many schools. If you have schedule requirements, it's a good idea to see what kinds of course options are available at any prospective school offering an MSN. MSN program costs can be all over the map. Be sure to do diligent research into what's included in a prospective school's tuition cost, as you will often be responsible for additional expenses like books and lab fees, among other items. For example, the Oregon Health and Science University's MSN with a Family Nurse Practitioner specialization will cost approximately $54,083.37 for in-state students. 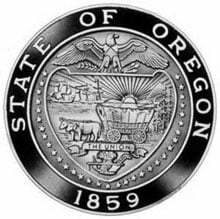 Oregon State Board of Nursing has set-up criteria to meet and submit for licensure by examination or endorsement. More nurses are taking the initiative to upgrade their degrees by either taking accelerated BSN/MSN programs or working while taking MSN bridge programs. Taking any of these programs can fast track your career and provide the opportunities you are looking toward. BSN accelerated programs are available at a couple of different colleges in Oregon and can be completed within 12 to 18 months, although this does vary depending on prerequisite courses required. Fees for these programs can be flexible in that they will vary depending on the number of prerequisite course required and any other housing accommodations that may be required. Clatsop Community College is dedicated to providing the best nursing program for their ASN students. Class sizes, rigorous curriculum and seasoned faculty will help prepare graduates to be the best in the field. Check out the official Clatsop Community College nursing program. Students enrolled in Chemeketa Community College benefit from the holistic approach to nursing that is offered in their rigorous curriculum. Experienced faculty is prepared to lead graduates to the top of the nursing field. Check out the official Chemeketa Community College nursing program. Lane Community College’s nursing degree programs, which include ADN and LPN to RN bridge programs, offer students the education and skills to become successful RNs in a wide variety of settings. Students enrolled in a nursing program will also have the opportunity to participate in patient care experiences in a variety of inpatient, outpatient, and hospital settings. Learn more by visiting the Lane Community College nursing website. 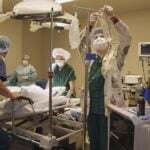 Bend’s Central Oregon Community College boasts an associate’s degree in nursing program to prepare students to successfully pass the NCLEX-RN exam. Graduates of the program can choose to go on to a BSN degree through partnerships with area colleges, or enter the workforce as a valuable part of a healthcare team. Learn more by visiting the Central Oregon Community College nursing website. Curriculum that is current and on the leading edge of nursing is how students at Linn Benton Community College are prepared to graduate at the top of their field. Graduates are equipped with the critical thinking skills to meet the daily rigors of nursing practice. Learn more by visiting the Linn Benton Community College nursing website. Rogue Community College, located on the outskirts of Grants Pass, offers both an associate’s degree in nursing and an LPN to RN program. The school’s nursing curriculum focuses on clinical judgment, critical thinking, evidence-based practice, relationship-centered care, and much more. Visit the Rogue Community College nursing website to learn more. Clackamas Community College offers an excellent 2-year Associate of Applied Science degree in nursing. Utilizing interactive classroom learning and hands-on clinical experiences, this program fully prepares students for a rewarding health care career. Check out the official Clackamas Community College nursing program. OHSU - Portland campus is located in the historic city of Portland, Oregon. 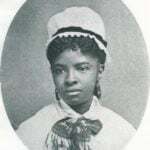 OHSU School of Nursing is a leader in the area of nursing and healthcare. Curriculum that stems from innovation and discovery is what fuels graduates to the top of the class. Visit the OHSU - Portland nursing website to learn more. Walla Walla University's Portland campus hosts BSN nursing courses for junior and senior level nursing students. With an emphasis on faith-based nursing care, small class sizes, and a curriculum that includes NCLEX-RN prep, Walla Walla graduates are poised to become healthcare leaders. Learn more by visiting the Walla Walla University - Portland nursing website. ADN graduates from Portland Community College have the option of furthering their degree by transitioning to the BSN program. Upon graduation from the relationship-based practices are prepared to accept immediate employment opportunities. Visit the Portland Community College nursing website to learn more.